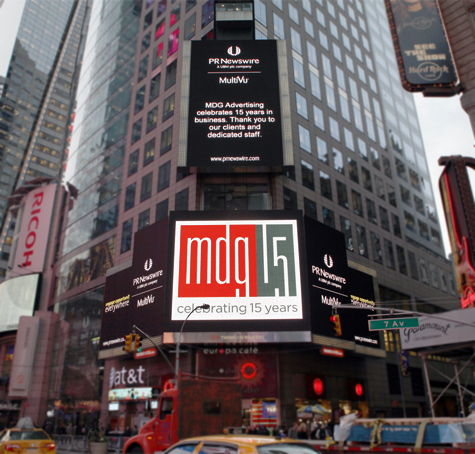 Boca Raton, Fla. – December 3, 2014 – MDG Advertising, with offices in Boca Raton and New York, today announced a major milestone. This year marks the agency’s 15th year in business. In a field that changes as often as advertising, and where agencies come and go almost as frequently as their clients’ ads, 15 years is a reason to celebrate. 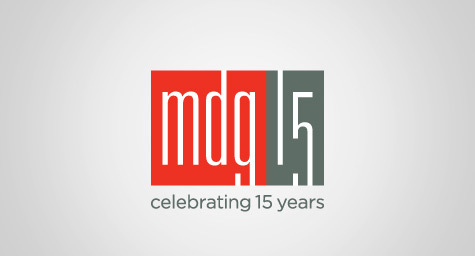 MDG Advertising was founded in 1999 by Michael Del Gigante, who currently serves as the agency’s president and creative director. After graduating from Pratt Institute and launching his design career in packaging, he went on to influence such brands as Sony and Volvo before opening his own shop in South Florida. Under his direction, MDG has evolved from a four-person advertising and design firm into a fully integrated marketing agency, currently employing 44 people. The agency—now the 5th largest in South Florida—attributes its growth to exceptional creative strategies, outstanding client service, and results-oriented executions. Perhaps even more important, MDG has not only been quick to embrace new technologies such as digital and social media, but has focused on how these channels will benefit its clients. Over the past decade and a half, the agency has consistently produced award-winning, innovative work for companies and industries in a multitude of verticals. In the case of MDG, it truly is a family endeavor. Since its founding, Michael Del Gigante has run MDG with his wife, Joanne Del Gigante, who serves as partner and CFO. Since its founding, MDG Advertising has established a leading reputation for developing targeted and integrated 360° marketing solutions. The agency’s steady growth directly results from its solid branding and media-buying strategies, award-winning creative, innovative web design and development, as well as effective digital and social media marketing. MDG’s clients include Dental Care Alliance, The Breakers, Palm Beach, IBM Southeast Employees’ Federal Credit Union, The Seagate Hotel and Spa, MDVIP, Signature Consultants, Max Planck Florida, MD Now Urgent Care Centers, Little Cayman Beach Resort, Brac Reef Beach Resort, and Brain Balance Achievement Centers.